While fudge is often considered a quintessentially British treat there are in fact different varieties of fudge the world over. Sweden have Knäck; in Poland there is Krówki; and in some parts of America they enjoy a fudge-like snack called Penuche. Fudge usually consists of a base combination of butter, sugar and milk, which can be then flavoured with other ingredients to add variety. The most important thing to consider when learning how to make fudge is that the sugar has to be brought up to soft ball stage (between 112°C and 115°C) which can be tested with a sugar thermometer or by dropping a bit of the mix into cold water and observing whether or not it forms a ball. A great starting point if you have never made fudge before is Geoffrey Smeddle’s easy Fudge recipe, which is simple to prepare and made of easily obtainable ingredients. Leftover fudge - if there is any - can be put to excellent use in Nathan Outlaw’s wonderful Chocolate fudge brownie recipe, which is made all the more special with the addition of Cornish sea salt. Simon Hulstone’s Chocolate fudge recipe is also simple to prepare, making a rich, decadent treat. For something equally sweet but slightly more unusual try Vineet Bhatia’s Carrot fudge recipe, an attractive and colourful petit four. 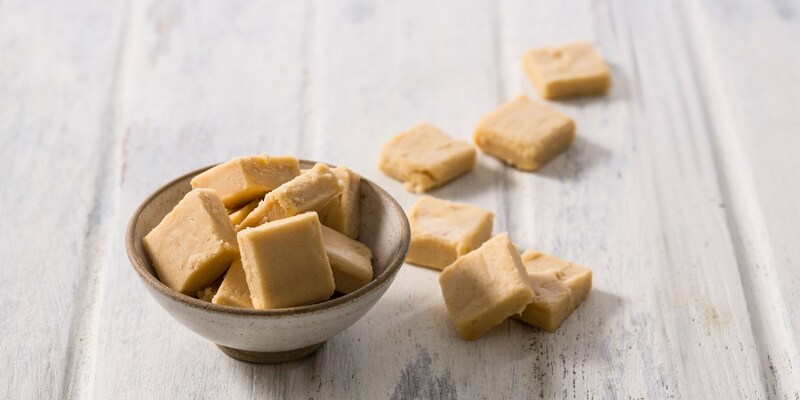 White chocolate adds a new and interesting dimension to fudge - why not try Phil Carnagie's White chocolate fudge recipe.